Thoughts are our most powerful tools in life. With the correct attitude and mindset, there is virtually no goal that we cannot accomplish. Looking back in history, we see many examples of people who have changed the world with their thoughts – take the Wright brothers for example: In the early 20th century they built the first airplane in a time when human flight was generally thought to be impossible. And look at Henry Ford, who revolutionized the way automobiles were built and distributed to the masses. These famous stories are just two examples of how the right mindset and thoughts can dramatically change our lives for the better. But it is not just the famous that have leaned to harness the power of their thoughts. Indeed, thousands of people all over the world today are learning how to utilize the power of their thoughts to bring their deepest desires into reality. With the right mindset and attitude, we can change our lives to receive all the wealth, power and fulfillment that we’ve always dreamed of. 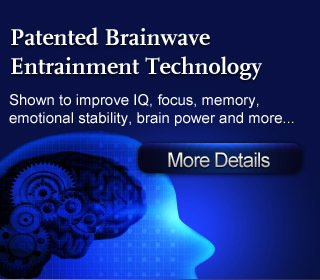 And when using today’s advanced Brainwave technologies to speed up and enhance this process, you’ll be able to enjoy the results of endless wealth creation by attracting abundance into your life… effortlessly! Are you having trouble staying positive and continuously motivated to attract wealth into your life? Are you tired of working harder and harder, but yet see less and less results? Have you always wanted to develop the same wealth-attracting mindset that millionaires all around the world possess? 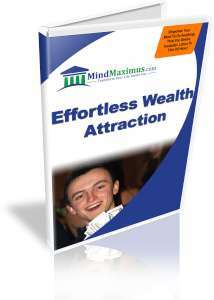 No reviews on I03 Effortless Wealth Attraction so far.